OpenWorld 2012 During Sunday's opening keynote at Oracle's OpenWorld 2012 San Francisco shindig, longtime server and operating system partner Fujitsu talked about a future "Athena" Sparc64 processor and related systems using it that will run Oracle's Solaris Unix variant and sport special instructions for speeding up Oracle databases. Fujitsu senior vice president Noriyuki Toyoki never came out and said that Oracle would rebrand the Athena systems under development by Fujitsu, as Oracle currently does with the "Jupiter" Sparc64-VII+ systems – machines based on those processors are sold under the Sparc Enterprise M family by both Oracle and Fujitsu alike. Those systems are designed as midrange and high-end servers with relatively large shared memories and high single-thread performance. And the Sparc Enterprise M machines are getting a little long in the tooth, with no substantial upgrades in the past several years, aside from some relatively minor clock-speed bumps. Toyoki was being coy and did not say that the "Athena" chip was one and the same as the sixteen-core Sparc64-X behemoth that the company was showing off at the Hot Chips 24 conference at the end of August. But there seems very little doubt that the Athena and Sparc64-X processors are one and the same device. The reason is quite simple. 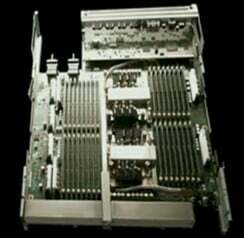 Fujitsu can't afford to have two different kinds of Sparc processors, as it has so aptly demonstrated by forking its own Sparc64 processors with the eight-core "Venus" Sparc64-VIIIfx and then the sixteen-core Sparc64-IXfx processors used in its supercomputer line. The Venus chip is the one that's used in the 10.51 petaflops K supercomputer at the Riken Lab in Kobe, Japan, and its follow-on is used in the PrimeHPC line of commercial machines that Fujitsu has been peddling to customers for the past year. These chips – or tweaked variants of them with higher clock speeds appropriate to enterprise workloads where thermals are not such a big issue and SMP ports instead of controllers reaching out to the "Tofu" 6D mesh/torus interconnect used on Fujitsu supercomputers – are not available in Sparc Enterprise M machines. The Sparc64-X chip is meant to bring the lines back together again, uniting commercial and HPC servers, and giving both sets of customers reasons to upgrade to new systems. Toyoki didn't provide a lot of details on the forthcoming Athena chips and the systems that will use them, but he did say enough to demonstrate (as did Takumi Maruyama, who is in charge of processor development within Fujitsu's Enterprise Server business unit, during Hot Chips) that Fujitsu is keen on supporting both HPC and traditional enterprise computing workloads, and that in fact, the boundaries between the two are getting harder and harder to see. Toyoki said that the traditional means of scaling-up computers to do more work – increasing the clock speed in processors in a shared-memory system or going distributed and scaling-up server nodes in a more loosely coupled cluster – were not going to work in a world where "big data" meets "business data" and correlations between the business and the outside world need to be sifted and correlated at real-time speeds. "We need to develop a completely new concept," Toyoki said. Toyoki glossed over a lot of the details, but he did throw up some photographs of the prototype Athena system boards and give some basic feeds and speeds. He also quickly showed a system node interconnect scheme that El Reg managed to snap – but the picture was blurry. There's enough info, however, to make some guesses about how this Athena system will work. First, Toyoki said that the Athena system design has its roots in the K super, and like that machine will have a system board that has four processor sockets as a basic building block. Each processor socket will be able to support up to 512GB of main memory, which is a respectable but by no means exorbitant amount for an SMP or NUMA server these days. If the Athena processor is indeed the same thing as the Sparc64-X chip (and again, it almost has to be because Fujitsu is not rich enough to do processor development for two unique kinds of chips, just like Sun Microsystems and now Oracle aren't, either), then the on-chip interconnect can implement a NUMA link across four sockets gluelessly, meaning you do not need an external chipset. But even with sixteen cores in a socket running at 3GHz, as the Athena chip will, a four-socket box will not have the kind of performance to tackle the big-data jobs that Fujitsu is chasing with the machines. And so the plan is to use an unnamed interconnect (perhaps a variant of the Tofu interconnect used in the K super) to lash together up to sixteen of those Athena system nodes. 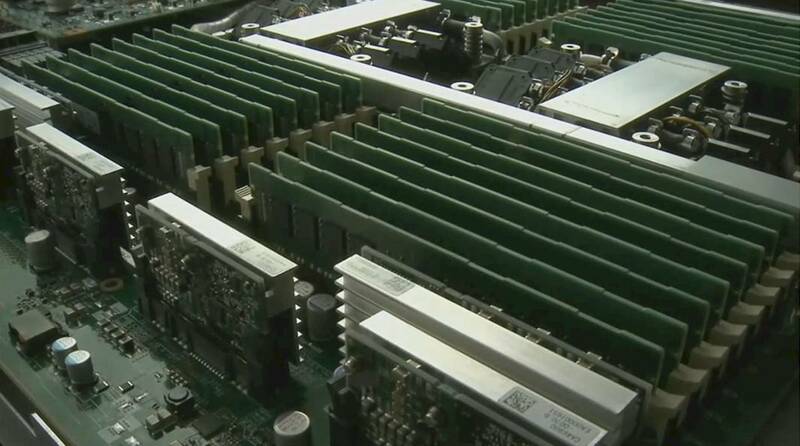 Now, this is a real big-iron system, topping out at 64 sockets with 1,024 cores and up to 32TB of main memory in a shared memory system. Next page: How does the Athena stack up to other Sparcs?